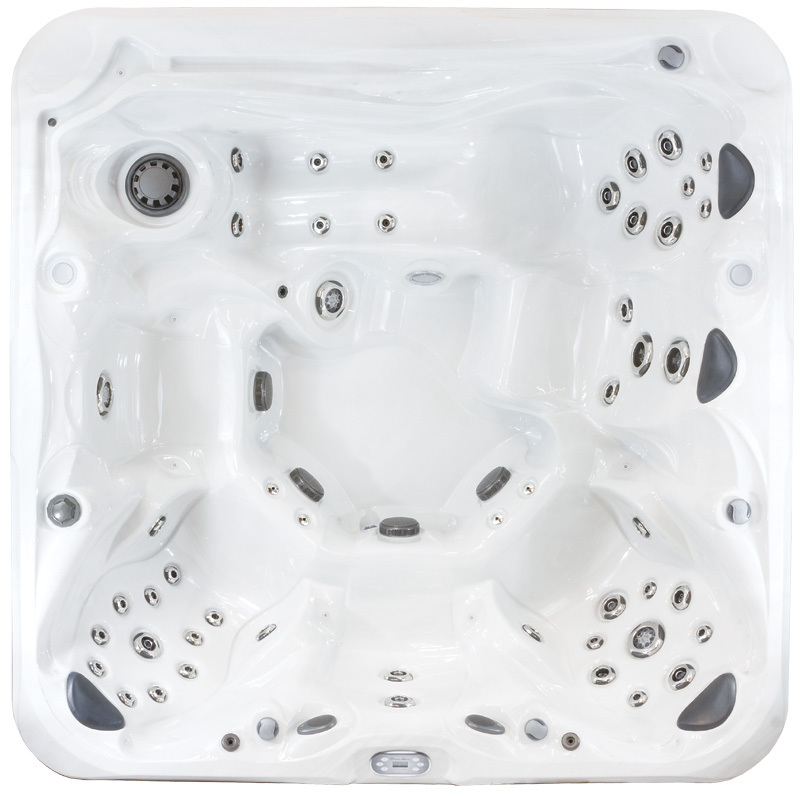 The LE850 is not only our most popular hot tub; it is one of the most popular hot tubs in the World. A unique side-by-side lounge and Adirondack chair and multi-level seating, make this spa, fun, functional and therapeutic. Two high performance pumps combined with our patented "variable volume induction" system power 50 multi-functional jets for optimum massage therapy. MP3/iPod® Docking System with or without Bluetooth®.